A letter has mysteriously arrived in the mailbox of a Canadian woman 45 years after it was sent by her younger sister. 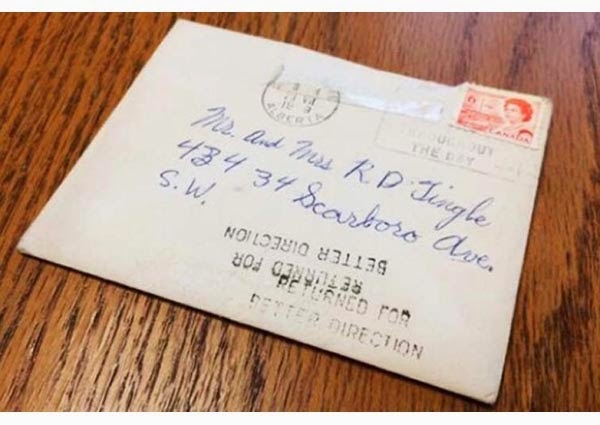 The missive, mailed by her then nine-year-old sibling, was sent in 1969 with a six-cent stamp, Anne Tingle told the Canadian Broadcasting Corporation. It arrived wrapped in plastic with a note from Canada Post apologising for the envelope's state, but not the delay.